Ambiance Luxury Flooring is just that. It has so many qualities and is available in over 40 different designs. Hard-wearing and giving a natural look, Ambiance is the perfect choice for kitchens and commercial properties alike. Ambiance Vinyl Flooring is ideal when you want the look of natural products, but at a much lower cost in terms of materials, fitting and upkeep. Ambiance is available in a range that includes products that have the appearance of a wide range of materials including stone, ceramic, metal and wood. Being of the highest quality, it is incredibly hard-wearing. It consists of a 0.7mm polyurethane coated war layer, a very high quality design film and a compact backing, having an overall thickness of 3mm. This combination provides optimum resilience and durability and makes Ambiance the perfect flooring solution for residential, commercial and retail premises. Feature Strips are available which really complement the tiles when inlaid, giving an alternative option to the overall finished look. The thickness is 3mm. Wear Layer is 0.7mm. Polyurethane Coated / Bevelled Edges. 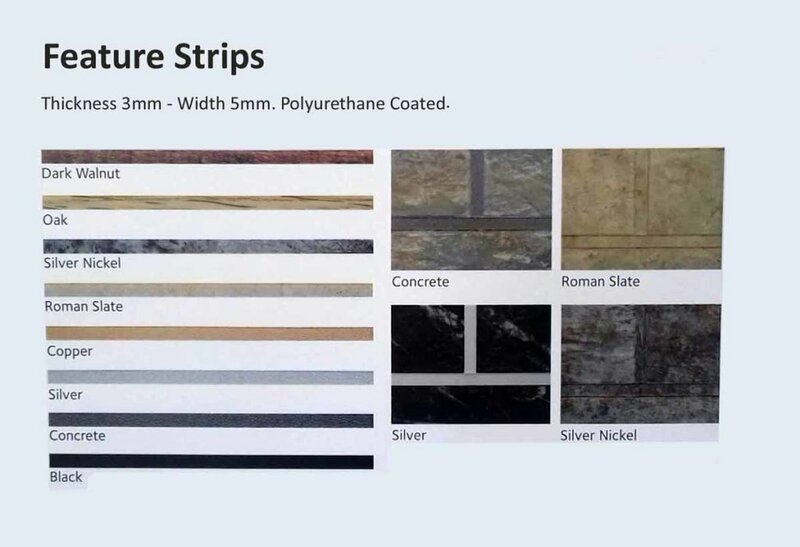 See below for the different ranges and then look at our Ambiance Gallery to see each sample. 9, Marcot Road, Solihull. West Midlands. B92 7PP. Registered in England. Company no 11169405. Registered office: Thomas & Co. No 4 Mercury Park, Amber Close, Tamworth B77 4RP.